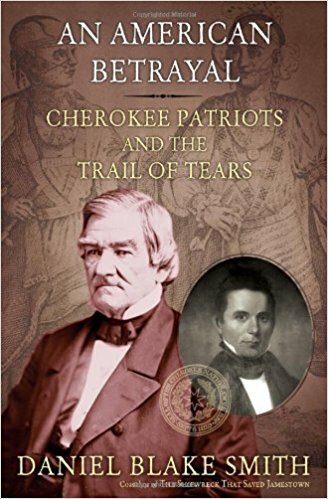 An American Betrayal: Cherokee Patriots and the Trail of Tears, by Daniel Blake Smith. Yet another book about Native Americans and their treatment by the Europeans that felt the land and all in should be theirs, and that the Natives should be extinguished or pushed aside. Isn't it strange how so many of us, today, say things like, "why do I have to dial 1 for English! This is America!"... think about it. How many, that came to America learned the NATIVE LANGUAGE?.. not many. I don't have a great memory for what I learned in school about how the Native Americans were treated.. or why. I am making up for it now. But no matter what I learn, I constantly tell myself, "this is history, and we can't change history." But, I also think... I thought we all were supposed to LEARN from history and not repeat it, and make it better. Smh. That's another thing I've learned.. very few have learned from it.. and many things never seem to change. "May 17th, 1836, the Senate approved the treaty of New Echota by 1 vote more than the 2/3rds majority required. A week later, Jackson signed it into law. Under the terms of the Treaty of New Echota, the Cherokee Nation , by May 1838, had to give up it's lands in Alabama, Georga, North Carolina and Tennessee and leave for present-day Oklahoma. The Cherokee's had 2 yrs. to leave." All because the Europeans wanted what the Cherokee Indians had. Their land. During the actual Trail of Tears thousands of Cherokee died. 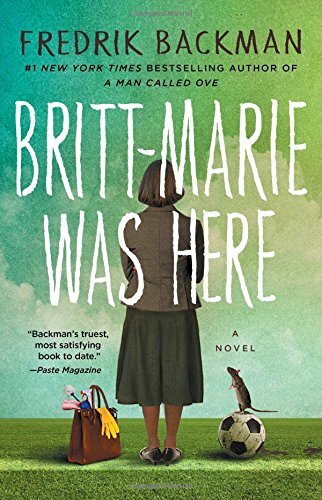 Britt-Marie Was Here by Fredrik Backman. This is a follow-up to My Grandmother Asked Me to Tell You She's Sorry. It follows one of the characters in that book named, Britt-Marie. Once again this is not my normal reading material, but I found I enjoyed both of the books very much, and kept wanting to pick it up . To anyone who read the first book (and it actually isn't a "series") and enjoyed it.. you will wind up liking this book on Britt-Marie. I will say, for my own particular taste, and although I liked the ending, there are more things I would have liked seen happen for the ending. But everyone will have their own feelings about that. Read these books, even if they aren't what you generally read. They are fast reading and very much will hit your heart. The Betrayal of Trust by Susan Hill. The Betrayal of Trust. The English town of Lafferton is ravaged by flash floods. A shallow grave is exposed; the remains of missing teenager Harriet Lowther have been uncovered. Harriet was the daughter of a prominent local businessman, and her death twenty years before had led to her mother’s suicide. Cold cases are always tough, and in this mystery in the enduringly popular series, Chief Superintendent Simon Serrailler must confront his most grisly, dangerous, and complex case yet. 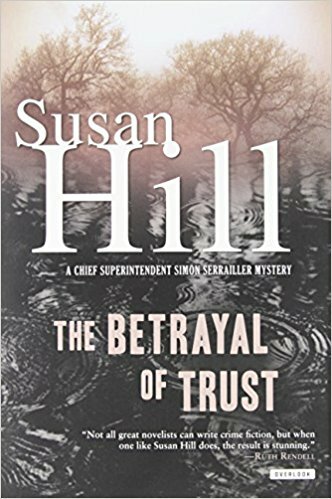 Susan Hill’s understanding of the human heart, her brilliance when evoking characters, and her tremendous powers of storytelling come into full force in The Betrayal of Trust. Pretty good read. Nice (very nice) short (very short), chapters! Short chapters always make me read "just a little more" because I know I can end when a new chapter begins instead of in the middle of a chapter. I have found out that The Betrayal of Trust is just one of a number of books she has written using Chief Superintendent Simon Serrailler. I may read another if I can come across one that is in the Thrift Shops. (Too many books here that are unread!). This is a Cold Crime Mystery. Very well written. She introduces other people who seem to have no connection at all, and it seems she is telling more than one story.. but of course, she is not. A storm uproots a tree.. along with some old bones. (this is where you hear creepy music).. Upon working the scene they come across more bones to a second person. Hmmm. Two dead bodies... not good. It winds up being a 16 year old "missing person". And it builds from there.... you will have to read it if you want to know the whole mystery!